What is the goal of any negotiation? The negotiation definition says that the ultimate goal is simply to reach a deal with the other side. Ah ha! Now this is where things start to really get interesting – after you’ve sorted through all of the negotiation styles and negotiating techniques that both sides have used, how can you tell when you’ve reached a deal with the other side? Could it be when they have said “yes” to your offer of a deal? 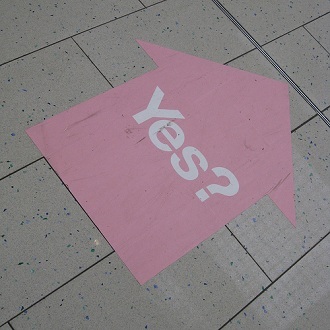 You might think that this is the case, but be careful – sometimes “yes” can really mean “no”…! Negotiations requires great deal of work. When you move through the negotiation process and get close to striking a deal with the other side of the table, you may start to feel that sense of relief that things are just about done. However, that’s not always the case. What may happen is that you believe that you’ve negotiated a deal with the other side of the table that both sides can live with. They tell you that they need to take the deal to the final approval authority on their side to get their blessing. They assure you that this should be no big deal. That’s when the clock starts running. The other side goes away and you don’t hear back anything from them. Perhaps you reach out to them and ask for a status update. They assure you that everything is still on track and there is just some minor issue (people on vacation, etc.) that is holding things up. Time drags on. You might check with them a few more times and the answer that you get back is always the same – there is no problem, the deal is going to be approved. However, what finally happens is that the deal comes back to you with a rejection note. The reason can be almost anything, but the simple fact is that the deal that you thought that you had in hand just isn’t going to happen. What has happened here is that you’ve been had. The other side used the deal that you had negotiated with them as a bargaining chip in some other deal that they were working on. You were identified as their fallback position if the parties involved in the other deal couldn’t reach a compromise. Clearly this other party gave in, a deal was struck and now the deal that you thought was going to happen for you isn’t going to happen. The reason that you can get caught (and used) in one of these yes / no deals is because there are too many people involved. With so many different people being involved, the possibility of faulty information getting back to you is increased. In order to prevent yourself from getting caught up in this type of situation, you need to step up and take charge. Another way of saying this is that you’ve got to find ways to cut out the middle man. Insist on dealing directly with the decision making principles who are involved in the deal. Get rid of the brokers and middlemen that may have their own agendas that conflict with what you are trying to accomplish. Finally, take on some of the administrative tasks that every negotiation session has associated with itself. One way that the middlemen can buy themselves time is to inform you that various administrative tasks are taking longer than they should. Eliminate this possibility by doing those tasks yourself. In order to wrap up a negotiation, you need to get the other side of the table to agree to the deal that has been proposed. That’s all well and good, but sometimes when they say “yes”, they really mean “no” – clearly they aren’t practicing principled negotiation. The reasons for this confusing state of affairs can be many. Most common is the one in which the deal that you’ve brokered with the other side is being used as a powerful tool to get some other party to agree to terms that the other side is trying to impose on them. Your deal will never be accepted – you are just being used. You can prevent this from happening to you by taking matters into your own hands and eliminating the middle men who could feed you the false information. Deal directly with the deal makers and you’ll have a better chance of knowing what the real deal is. Trust is a key part of any negotiation. You can’t always ensure that the other side is negotiating with a good intent, but you can take steps to make sure that if they have any plans of saying “yes” when they really mean “no, that you get to say “no” to those plans first! Question For You: If you suspect that the other side is using your deal as a bargaining chip, do you think that there is anything that you can do to take matters into your own hands?